This was HSR’s last event of the year. Duntov’s new Corvette Grand Sport roadster wasn’t ready yet, so we took Mark Innocenzi’s Owens Corning car and our own 1968 Corvette roadster, this time driven by Edward Sevadjian. 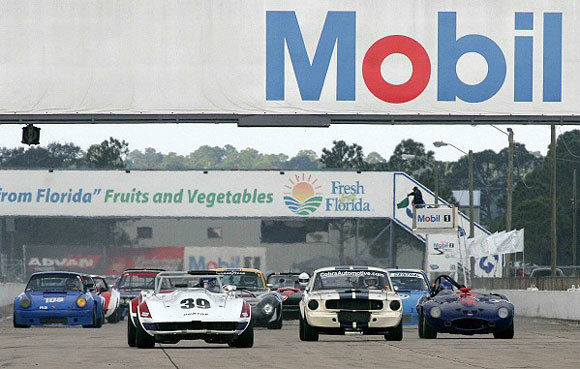 It was Edward’s first time at Sebring. We knew he was going to be very fast when he was already down to the 2:25’s in the second practice session on Thursday. By Sunday, Mark got the Owens Corning car down to the 2:23’s, which was the second quickest Corvette time. In Saturday’s qualifying race, Edward was blocked at the start and got shuffled back to 11th. Once the field sorted out, he worked his way up to second, passing our old friend Eric Bretzel on the last lap. Edward led every lap during the feature race on Sunday. His fastest lap was a 2:17.31, which broke the Group 5 lap record by nearly 2 seconds. The margin of victory was 46 seconds in the 8 lap race! 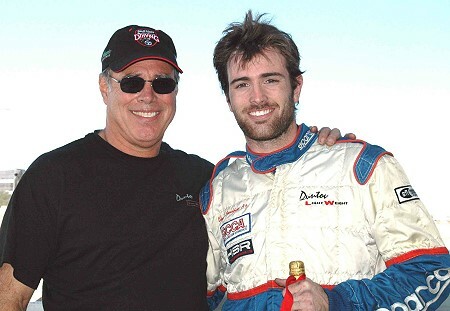 Duntov Motor Company has a new #1 driver. It shouldn’t have taken this long. This is as close as it was going to get. Margin of victory 46 seconds!